I was plagiarized twice in the same year by the same community. It was hard to wrap my brain around at first. After all, this is a community I felt some connection to. These were people I imagine to be well-intentioned parents and professionals. But now there are two kid’s books that have stolen and misused my work without credit or attribution. After more than a year of dealing with the consequences I felt it was time to speak up. 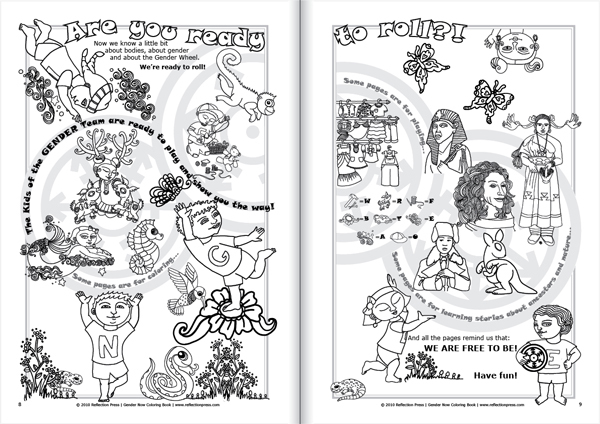 Nearly all of the main concepts of my Gender Now Coloring and Activity Books were lifted, somewhat modified and put in The Gender Identity Workbook for Kids (Kelly Storck, New Harbinger Publications) and both the author and the editor were aware of it. Kelly Storck accidentally shared emails with me between her and her editor that outlined what was going on and what they were doing including the style in which the author should contact me. It was through reading these emails that I began to understand another related experience of plagiarism that happened earlier in the year. In this case, the children’s book Who Are You? 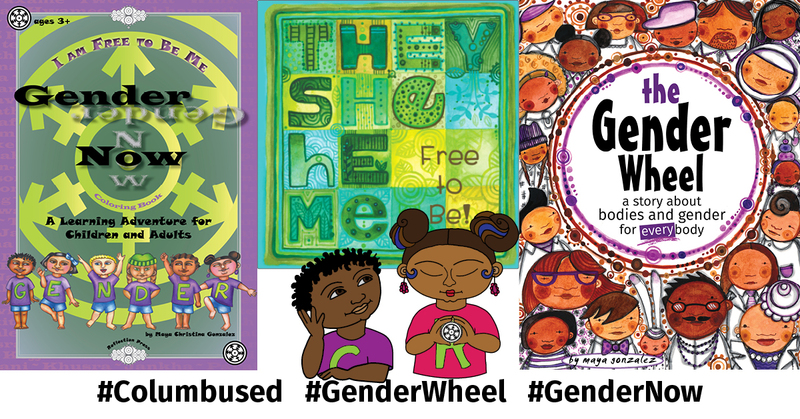 The Kid’s Guide to Gender Identity (Brook Pessin-Whedbee, Jessica Kingsley Publishers) plagiarized the name and concentric circle concept of The Gender Wheel from my Gender Now books. In my nearly 25 years in the children’s book industry, I have never experienced anything like this. I’m a queer, Chicanx author/illustrator and I’m also a parent and educator/activist. I’ve authored and/or illustrated over 20 multicultural children’s books with publishers that include Children’s Book Press, Lee & Low, Barefoot Books and more. 9 years ago, I also co-founded my own small Indie press, Reflection Press, with my partner Matthew where we first published Gender Now. Who Are You? 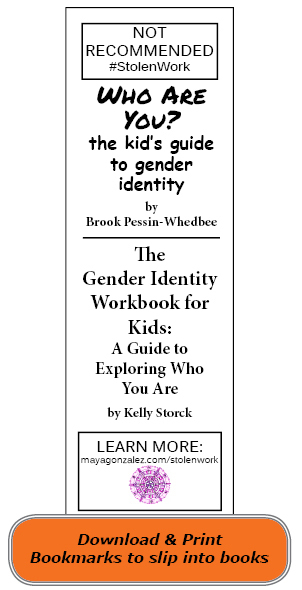 The Kid’s Guide to Gender Identity(Brook Pessin-Whedbee, Jessica Kingsley Publishers) and The Gender Identity Workbook for Kids(Kelly Storck, New Harbinger Publications) are connected in multiple ways, but I only recently found that the first testimonial in Kelly Stork’s book is by Brook Pessin-Whedbee. Although I don’t completely know what all of these connections mean, I do know that context means everything, so they’re noteworthy. Both books are authored by straight, white, cisgender women who are parents and work with gender professionally. Both authors are tied to the Gender Spectrum conference/community in the SF Bay Area during the same time period that I was presenting my Gender Now curriculum. Both plagiarized my Gender Now work. Neither author nor publisher properly cites, credits, or acknowledges the source work from which their books are drawn. 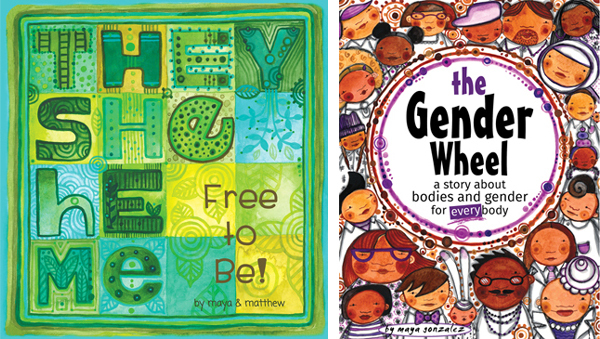 In 2017 I further developed my gender work with the picture books, They, She, He, Me: Free to Be coauthored with Matthew and The Gender Wheel: a Story about Bodies and Gender for Every Body. My work rises from an inclusive perspective and provides tools to understand gender rooted in nature outside of a Western cultural framework. This is important to me as a queer Chicanx. You can see the breadth and depth of this work and its connection to both me and The Gender Wheel in my Gender Blog Series. I have always taught this three tiered, nested perspective of Nature, Global Cultures and History when presenting my work. You can see my slideshow and view my notes from my Gender Spectrum presentations on Reflection Press’ Gender Now Teacher Resources page. I presented my Gender Now curriculum at Gender Spectrum’s Family Conference from 2010-12, and at their professional symposium from 2015-16 using my children’s book Call Me Tree and my Gender Now curriculum. Matthew and I also worked with Gender Spectrum on their school curriculum from 2011-2012 which included activities from Gender Now. We came to understand that we had different philosophical perspectives and teaching styles around gender, however we were appreciative of the work Gender Spectrum was doing to support parents and schools. The plagiarism is unacceptable. But after having a chance to look through these books Matthew and I discovered that it wasn’t just a matter of plagiarism. In the case of Who Are You? The Kid’s Guide to Gender Identity (Brook Pessin-Whedbee, Jessica Kingsley Publishers), the text on and describing The Gender Wheel is written in a particularly white and Western way. As Chicanx drawing from my experience and studies outside of a Western frame, this not only distorts and damages The Gender Wheel’s origins and core meaning, it fully erases me as the creator. In the case of The Gender Identity Workbook for Kids (Kelly Storck, New Harbinger Publications), the bulk of my Gender Now curriculum was taken and embedded in another book and distorted through a white and Western lens. All of my work and existence again erased. The plagiarism and erasure have been disorienting and sobering about power dynamics in social justice work and the children’s book industry; and the distortion now associated with The Gender Wheel has simply broken my heart and taken up more time and energy than I thought possible. If you want to learn more about the details of plagiarism in both of these books, you can go here. Our experience was not limited to the books alone. Matthew and I engaged both authors and their publishers with hopes of resolution. They obviously enjoy this how can we put a stop to it. The idea that we were enjoying any part of this theft, or the exhausting process of trying to get the author and publisher to take responsibility for their actions, was as eye-opening as it was frustrating. After much back and forth and confronting Brook in person, they acquiesced to change the name to “The Interactive Wheel” at their next reprinting. They maintain they did nothing wrong and would not take action to address the plagiarism or the damage done. It seems beyond them to simply acknowledge that a person of color created The Gender Wheel that they have now distorted and are promoting and profiting from. Instant Help Books/imprint of New Harbinger Publications, Inc. By their own admission, a significant portion of Kelly Storck’s book was not original work that just happened to be similar. Despite what the press would like to imagine, it cannot be treated the same as original work. The fundamental frame and format was consciously plagiarized. The most disconcerting piece is that it was not in part, but all of the fundamentals of my gender work while never offering to acknowledge or uplift Gender Now as the source in any way. The only acknowledgement is to Diane Ehrensaft who wrote the introduction, and is given credit for her “Apples and Oranges” Exercise. Being ‘columbused’ hurts. More than I thought it would. It ricochets and vibrates through my system and experience and speaks through my ancestors. My body, my work, my schedule, my family, my friends, my attitude, have all been impacted. It’s changed me. It is only after walking through and around this wicked little time and hearing from nearly every corner other experiences of plagiarism, especially for Indigenous, POC and Queer/Trans people, that I see how this fits into my larger body of work. And why it’s important to come forward with clarity. It takes conscious, active awareness to not participate in privilege and power-over, but instead create real and effective change and equity for our children, our society and each other. We know this to be true with regards to racism in a country built on colonization and white supremacy. The same criteria must be applied to gender and sexuality for the same reasons. These books are still supporting the authors and their presses as they erase me and my work. A friend asked what I wanted as restitution. I laughed. I knew when I began this journey, but I’ve lost track of it through having to stay keenly focused on the truth and keeping my head above water. I find myself more concerned with the big picture and the big conversations. Is it a survival response knowing that any immediate restitution for myself is highly unlikely in a situation like this? Absolutely. I have to keep moving forward. I have to find what motivates me. Community and a vision of a more equitable, humane world are my drive. I’m sharing so others like me can prepare for plagiarism and intellectual theft. It’s that common. And if we can get out in front of this kind of thing as a community hopefully more of us can retain ownership of our work. This is about a shift in thinking and doing. LGBTQI+ children’s books have the most severe power imbalance for first/own voice, and lack a clear social justice frame as criteria. This is historically and socially relevant and impacts what is considered respectable/acceptable, and profitable in the industry and society. It is the same song I’ve been singing for 25 years in the industry about race and ethnicity, which after countless voices in the field for decades upon decades, is finally finding more traction. But add to that song LGBTQI+ and I find there are fewer and fewer voices willing to come forward and sing OUT. So it is that right now, I’m asking everyone within the range of my voice to share this. We can do better. We must do better. Now is the time to make deep change. Who’s writing our stories and how? 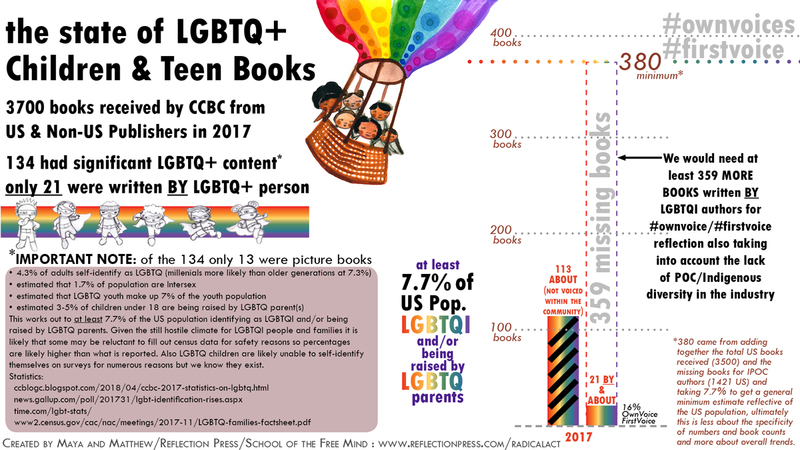 Are equitable numbers of Indigenous and POC queer/trans/intersex first voices included in the social justice conversation in children’s books? Are queer/trans/intersex kids able to see genuine reflection, experience, culture and wisdom in their books? What stories are most prevalent? What stories are most rare? Are Indigenous and POC queer/trans/intersex children’s book authors, stories and perspectives being uplifted and receiving love and respect? These are the questions we must ask over and over and over again until change is real. Or download bookmarks to slip between the pages of either book at the public library, bookstores, conferences, schools, etc. You can also contact Bank Street about including plagiarized work on their book list. Maya Gonzalez created The Gender Wheel and brought a holistic, nature-based vision of gender to kids. That is the truth. We must always remember we are QueerEternal/GenderNow! Our VOICE is a REVOLUTION! Note: The Storify website, where the detailed research was posted about this plagiarist, recently closed. This is a PDF of what was still accessible from that website. Hopefully it will be recreated on another website in the future. Further discussion on the plagiarism and distortion of the GenderBread person can also be found here. 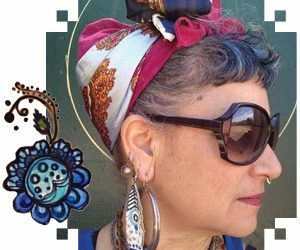 Maya Gonzalez is a Chicanx, queer femme artist, progressive educator and award-winning children’s book illustrator and author. 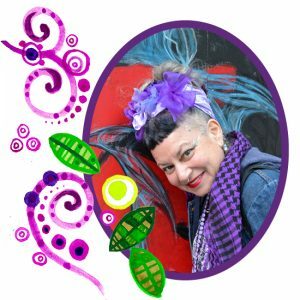 Her work focuses on art and story as powerful tools of reclamation and transformation both personally and culturally. Her primary tool of activism is creating and publishing radical children’s books that tell the truth of who we are and what we can be. She has been a close ally of the trans community for over 30 years and her partner is trans. Together they co-founded their own indie press in 2009, Reflection Press. 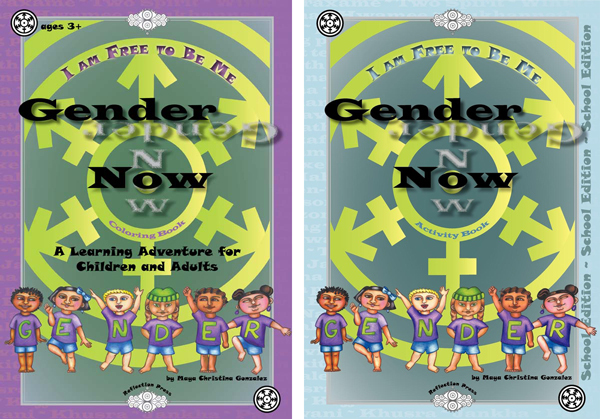 The Gender Now Coloring Book was one of the first books they published. Previous PostMy Story, Your Story, Their Story, Who Gets to Tell It? First of all, thank you for your work, I will be purchasing these books. Second I am dumb furious about this for you..I shared your story on my Facebook page to share your story. I am saddened by this. I will recommend your book series for our local library and bookstore. I am looking forward to sharing your books with my child. As a white cis woman, I am disheartened but not surprised that this has been your experience. I am so sorry. You are amazingly brave and strong. I’m so glad to know that you won’t be gaslighted. You know the truth, and now so do I.